Increasingly companies look for external advice and viewpoints from a diverse set of experts who may have different degrees of familiarity with the company, but are experts in areas important to the company. There are different reasons for setting up such boards and, accordingly, they have different structures. Some boards are very involved and meet frequently, others receive information and provide high-level feedback. The key points for a successful board, not surprisingly, rest on its membership, but also how the interactions take place and the recipients of the advices. This presentation will describe how to start up a technology advisory board and means by which to receive the best input from such boards, with anonymous examples. Adnan Akay is the Provost of Bilkent University where started on January 1, 2009 as Vice President and the founding chair of the new Mechanical Engineering Department. Previously, Dr. Akay served at the U.S. National Science Foundation as the Director of Civil, Mechanical and Manufacturing Innovation Division. Prior to serving at NSF, Dr. Akay was a professor and the head of Mechanical Engineering Department at Carnegie Mellon University where he was awarded the endowed Lord Chair in Engineering. From 1978 to 1992, he was on the faculty at Wayne State University where he held the DeVlieg Chair in Engineering. Between 1976 and 1978 he was a visiting staff fellow at the National Institute of Environmental Health. He has held visiting appointments at MIT, the University of Rome "La Sapienza", and at Institut National des Sciences Appliqués de Lyon in France. Professor Akay is a fellow of the American Society of Mechanical Engineers and the Acoustical Society of America, and a member of several honor societies. Dr. Akay serves on advisory boards of several universities and regularly consults with international industries as a technical advisor. "Creativity and Genius: Inside the Minds of Leonardo, Shakespeare, Newton, Beethoven and Einstein"
What happens when the objective (scientific) part of the mind intersects with the subjective (artistic) part? Professor Atalay explores this fascinating question by probing the genius of Leonardo da Vinci, Shakespeare, Newton, Beethoven, and Einstein. Leonardo, the creator of the two most famous works in history, was a scientist doing art, and an artist doing science. Newton and Einstein were towering scientific figure. But Newton spent much of his time experimenting in a pair of distinctly non-scientific area — in the mysterious precincts of alchemy and in scrutinizing the details of Biblical scripture. Einstein, the greatest scientist since Isaac Newton, was a gifted violinist who frequently found inspiration for his scientific endeavors while playing, especially the music of Mozart. And Beethoven was a pianist and composer, a pure musician, or so it seems. Finally, Shakespeare is without a peer in the history of literature. Atalay shows how they were able to weave their disparate passions often with extraordinary results. Was this an anomaly or something that can be mapped onto the brain? Understanding the patterns of their creativity will provide an entirely new appreciation of their work and genius—and perhaps that of others, too. "Innovation Management 2030: Integrating Social Aspects in Technology & Innovation Management"
The world is becoming increasingly complex. Globalization and sustainability, flexibility and decentralization, diversity and new lifestyles bring markets and systems to their limits. The way how we have so far organized the advance of knowledge as well as the research and innovation system have to adapt those challenges. Yet the driving force of any innovation is the interplay between "technology push" and "market pull" and both mechanisms have to face challenges which are based on the fact, that any information in a knowledge society will be easily available and exchangeable. Therefor technology- & innovation management have to change in a way that they empower and integrate more and more stakeholder in the development of new technologies and innovations. How to handle this change will be one of the biggest challenges in the years to come. The keynote will give insights about Fraunhofer is facing this challenge with innovative ideas, processes and some first examples. "Social Innovation‐Delivering New Value Through“Collaborative Creation "
The advent of the Internet of Things (IoT) is changing the way we live and do business, forming new connections and relationships between people, systems and things. In order to receive the maximum benefit of IoT, it is essential that we perform "Open Innovation", that is, perform innovative creation that goes well beyond the scope of what is possible within single company or single industry. Hitachi Group is a pioneer in open innovation, long active in collaborative creation ventures with a wide range of partners. Through our collaborative creation, we aim to bring about both economic value and social benefits, while working to realize a safe, comfortable and sustainable society and a better future for our children. 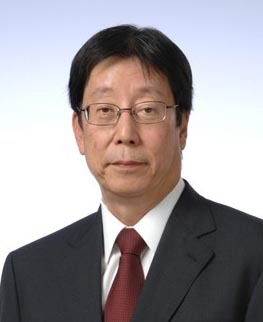 Mr. Shinjiro Iwata Advisor to Hitachi Ltd. He retired in April after serving as the Representative Executive Officer, Executive Vice President, Executive Officer, and Chief Transformation Officer. Mr. Iwata began his career with Hitachi Ltd. in 1972, when he joined the Overseas Business Department. Working his way up through various positions, in 1996 he became manager of Business Planning Department for the Information Systems Group. He joined Hitachi Data Systems (HDS) in 1997 as Executive Vice President. After improving the performance of HDS, he became CEO of the company in 2001. In 2006 he became CMO of the newly established Hitachi Global Storage Technologies, where he oversaw everything from manufacturing to front-line sales. Later acting as EVP, he implemented sweeping management reforms, putting HGST’s business firmly back on track. In 2009, he returned to Hitachi Ltd. as Vice President and Executive Officer, CEO of Service & Global Business, Information & Telecommunication Systems. In the following years, Mr. Iwata strengthened the overseas divisions of ICT, later becoming Senior Vice President, and further contributing to the expansion of business. In 2013 he became Representative Executive Officer, and worked on management reform of the entire Hitachi Group. Mr. Iwata’s firmly believes in nimble management making use of data, and efficient waste-free management. In order to implement this policy, Mr. Iwata also acted as CIO for integration of Hitachi’s internal ICT systems and a leader of the End-to-End Supply Chain Project. Most recently, Mr. Iwata served as Director of the Hitachi Smart Transformation Project Initiatives Division, which is reforming the structures of the entire Hitachi Group. Since 2012, he has also been a visiting professor at Tsukuba University. "Recent Advances of Predictive Big Data Analytics and Industry 4.0 for Future Manufacturing and Service Innovation"
The presentation will address the trends of predictive big data analytics and industrial 4.0 as well as the readiness of smart predictive tools to manage industrial big data to achieve productivity and resilient product life cycle management with improved service value. First, industrial competitiveness between U.S., Germany, China, and Japan are examined. Second, Cyber- Physical System (CPS) enabled product manufacturing and services will be introduced. Third, advanced predictive analytics technologies for smart maintenance and manufacturing systems with case studies will be presented. Finally, Dominant Innovation® for smart service design will be introduced with case studies. Dr. Jay Lee is Ohio Eminent Scholar, L.W. Scott Alter Chair Professor, and Distinguished Univ. Professor at the Univ. of Cincinnati and is Founding Director of National Science Foundation (NSF) Industry/University Cooperative Research Center (I/UCRC) on Intelligent Maintenance Systems (IMS www.imscenter.net) which is a multi-campus NSF Industry/University Cooperative Research Center which consists of the Univ. of Cincinnati (lead institution), the Univ. of Michigan, Missouri Univ. of S&T, and Univ. of Texas-Austin. The Center has developed partnerships with over 85 companies from 15 countries since its inception in 2001. In addition, he has mentored his students and developed a spin-off company Predictronics with support from NSF Innovation ICorps Award in 2012. He also serves as an invited committee member for White House Cyber Physical Systems (CPS) Advisory Group in 2013. His current research focuses on Industrial Big Data Analytics, Cyber-Physical Systems, as well as Prognostics and Health Management (PHM). He led IMS Team and developed the well-known Watchdog Agent® (s systematic platform for data analytics toolbox used by over 80 global companies) as well as the Dominant InnovationTM (a methodology for product and service innovation design and has been used by many Fortune 500 companies). 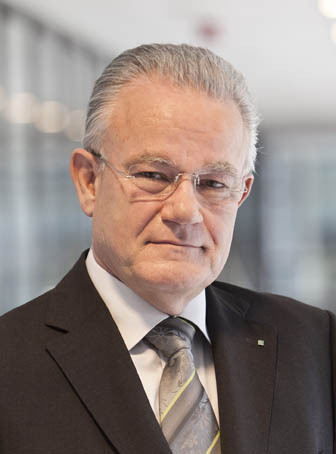 Currently, he also serves as advisor to a number of global organizations, including a member of the Manufacturing Executive Leadership Council, member of International S&T Committee of Alstom Transport, France, Scientific Advisory Board of Flanders' MECHATRONICS Technology Centre (FMTC) in Leuven, Belgium, Scientific Advisor Board of SIMTech, Singapore, Member of Advisory Committee of MIRDC Taiwan, etc. In addition, he serves as editors and associate editor for a number of journals including IEEE Transaction on Industrial Informatics, Int. Journal on Prognostics & Health Management (IJPHM), etc, In addition, he is also a De Tao Master in Innovation (http://www.detaoma.com/Jay_Lee/). He is a Fellow of ASME, SME, as well as a founding fellow of International Society of Engineering Asset Management (ISEAM). 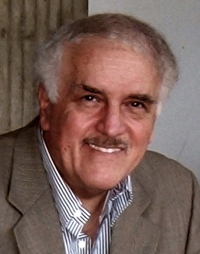 He is a frequently invited speaker and has delivered over 200 invited keynote speeches at major international conferences and has over 20 patents and 2 trademarks. He received a number of awards including the most recent NSF Alex Schwarzkopf Technological Innovation Prize in Jan. 2014, MFPT (Machinery Failure Prevention Technology Society) Jack Frarey Award in 2014, and the Prognostics Innovation Award from National Instruments in 2012. He mentored his students to participate in PHM Data Challenge Competition and won the 1st Prize 5 times since 2008. He is also a honorary advisor to the Heifer, International-a charity organization working to end hunger and poverty around the world by providing livestock and training to struggling community. "Forecasting Innovation Pathways: The Case of Big Data"
PICMET’s primary mission is to advance analyses of changing technologies to inform technology management. That reflects balancing expert and empirical components to provide effective intelligence. Are managers ready for that? Doubts remain. Our process engages various experts and stakeholders to interpret the story of technology development to date. We then work to anticipate promising paths to diverse applications, and attendant issues, potential impacts, and policy/management leverage points. “Big Data” offers an intriguing case. The explosive growth in R&D, business, and diverse popular interests, concurrently, fuels generation of challenging scenarios for technology managers. Alan Porter is Professor Emeritus of Industrial & Systems Engineering, and of Public Policy, at Georgia Tech, where he is Co-director of the Technology Policy and Assessment Center. He is also Director of R&D for Search Technology, Inc., Norcross, GA (producers of VantagePoint and Thomson Data Analyzer software). He is author or co-author of some 230 articles and books, including Tech Mining (Wiley, 2005) and Forecasting and Management of Technology (Wiley, 2011). Current research emphasizes “forecasting innovation pathways” for newly emerging technologies. This entails text mining of science, technology & innovation information resources to generate Competitive Technical Intelligence. Many publications are available at: http://www.researchgate.net/profile/Alan_Porter4. "Challenges in Designing and Implementing Large Systems"
For centuries, people have developed innovative solutions to satisfy human and societal needs in such fields as energy, electric power generation, food, transportation, healthcare, education, information technology, banking, defense, environment, communications, and materials. Many of these innovations are in the form of systems that are designed to satisfy a specific set of functional requirements (FRs) and constraints (C). We should be able to design all these systems using the same methodology rather than a variety of ad hoc approaches, although the specific nature of the problem, physical principles, data, and acceptable variations are field specific. This presentation addresses the two challenging issues involved in designing and commissioning large systems: cost over-runs and missing the original schedule. Experience with large system design reinforces the view that the coupling of FRs, i.e., coupled designs, is primarily responsible for cost over-runs and missed schedules. It also increases "complexity" of systems. A solution is presented to preventing the creation of a coupled design: System Architect, whose job is to monitor the design process to be certain that it does not inadvertently create functionally coupled designs. An example is provided.